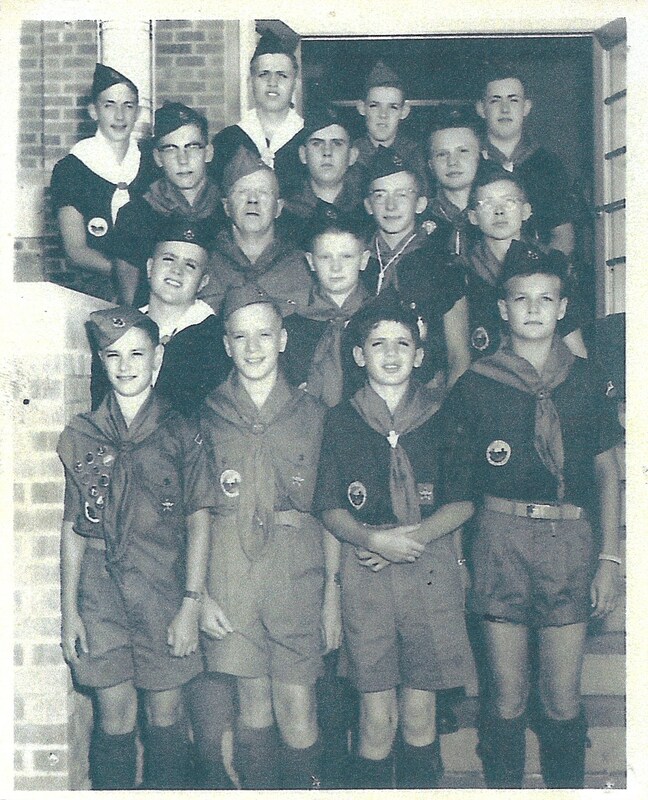 A Broad Kaw Valley reader seeking help identifying an item sent the image below. 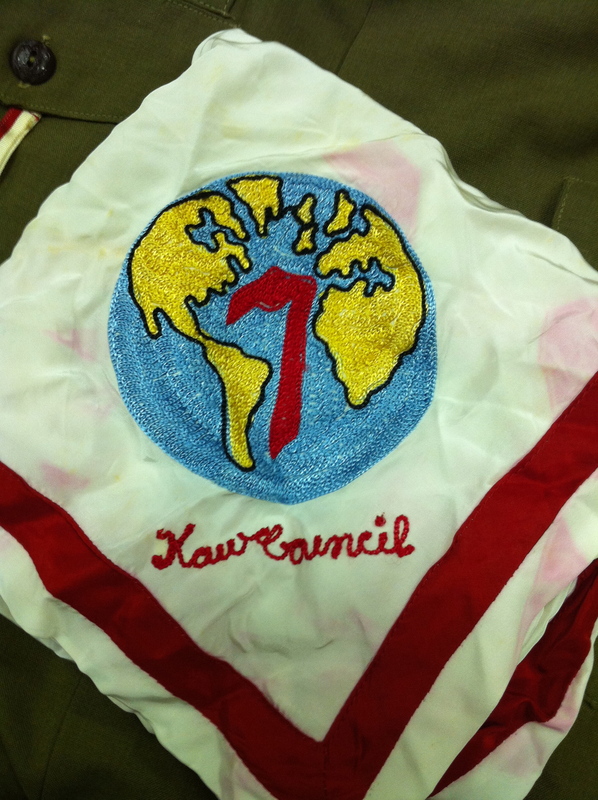 It looks like a satin/silk neckerchief with a chain-stitched globe with a numeral “7” superimposed over it. 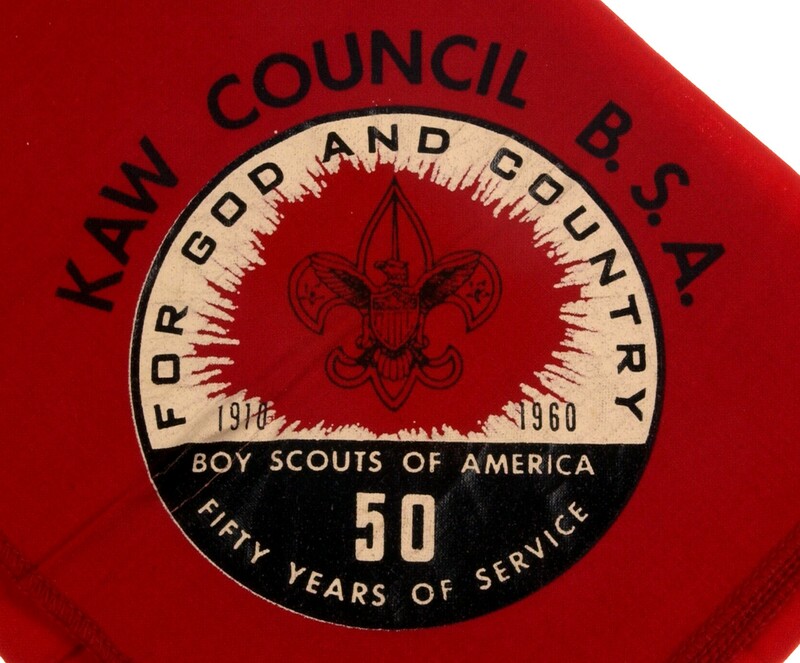 It also has red chain-stitched “Kaw Council” text and a red ribbon border. 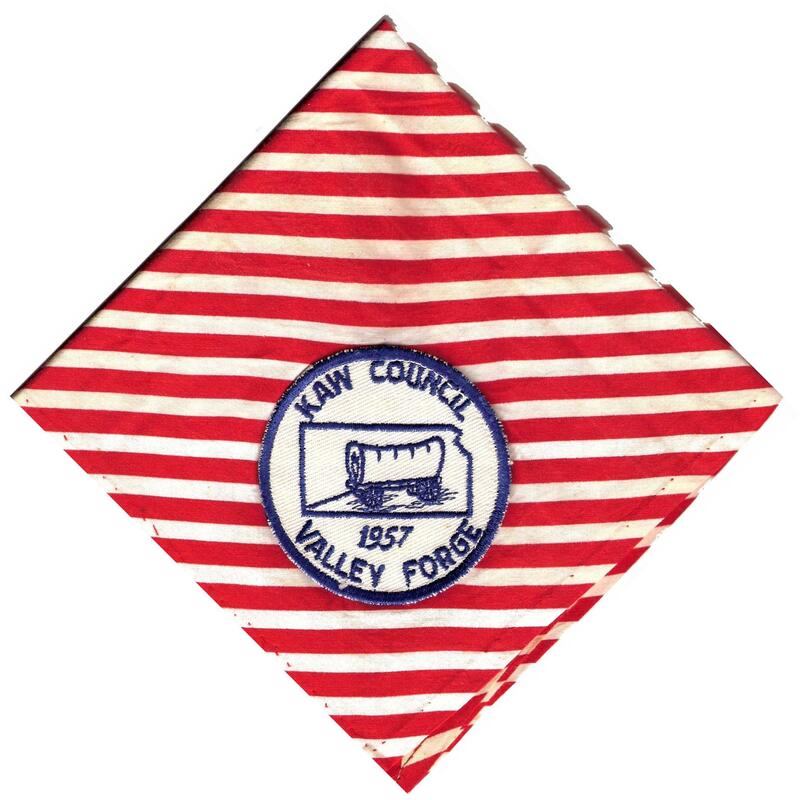 If you have any information about this neckerchief, please send me an email: broadkawvalley at gmail.com. 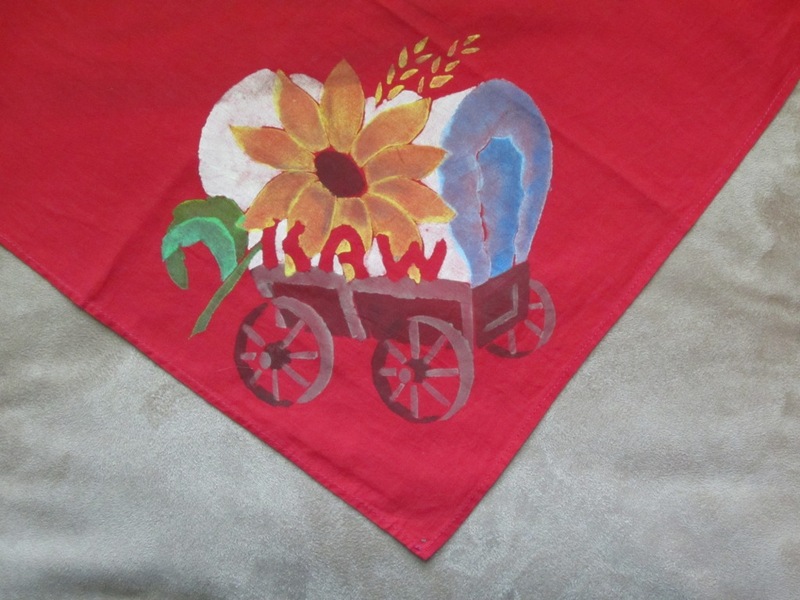 Also, if you have a Kansas City area item that you need help identifying, drop me a line and I’ll post it. 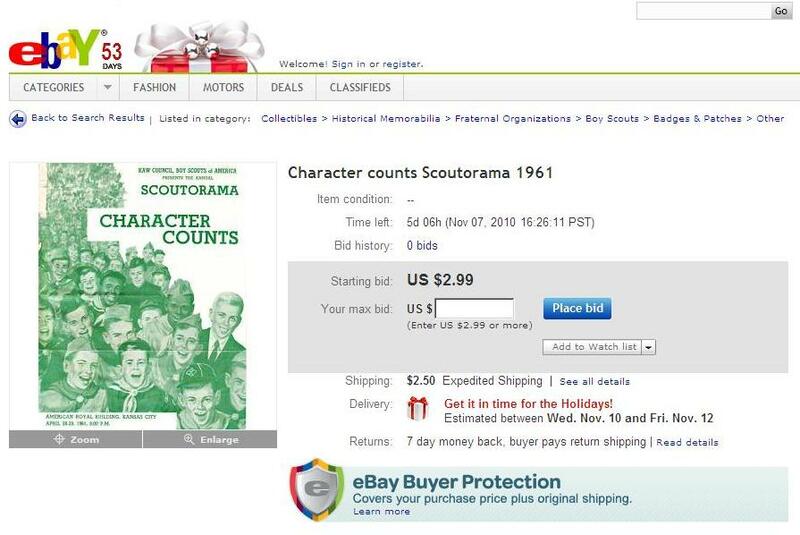 This auction from a couple of weeks ago got me thinking about the SCOUTORAMA! 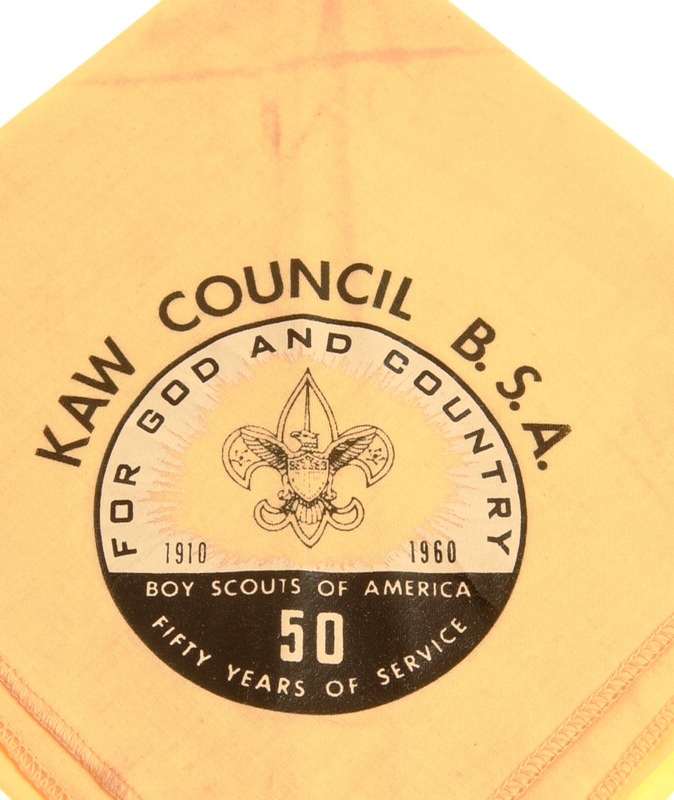 In my experience, Kaw Council Scoutorama patches/memorabilia are generally dismissed by collectors as something that is not worth the effort of collecting. 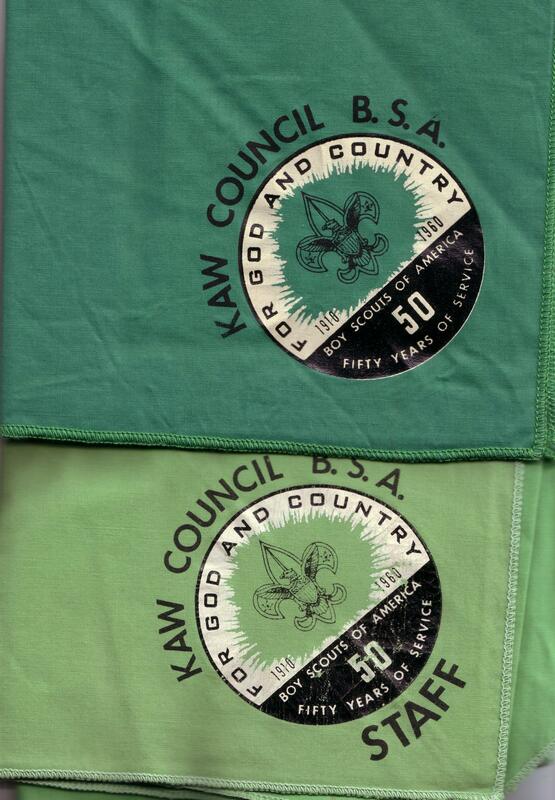 Maybe it is because it seems there are so many 1972, 1973, 1974 Kaw Council Scoutorama patches floating around? 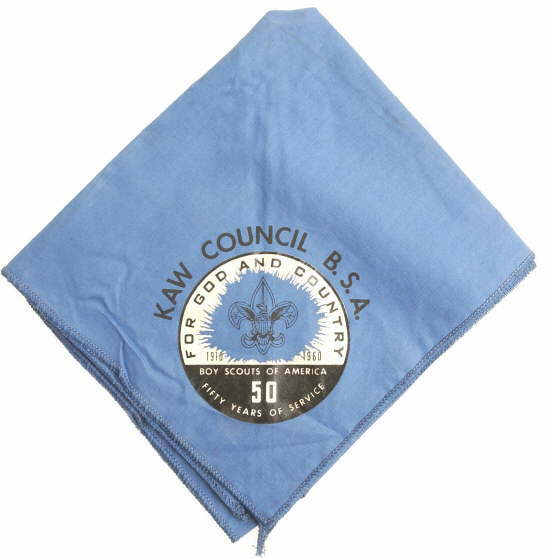 After looking at the item above, it made me realize there are a lot of Kaw Council Scoutorama items out there (neckercheif slides, patches, programs)…the items below are probably just the tip of the ice bergorama. 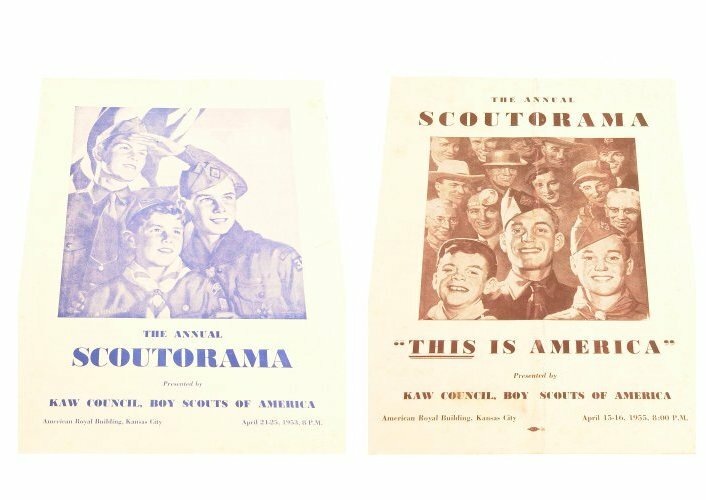 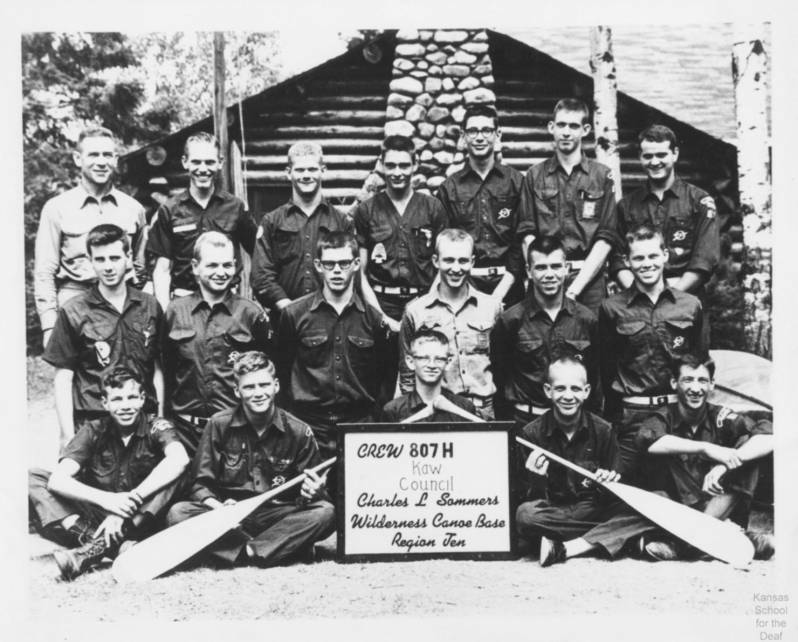 I imagine the Scoutorama was a showcase of Scout skills similar to a Scout Show or a Round Up. 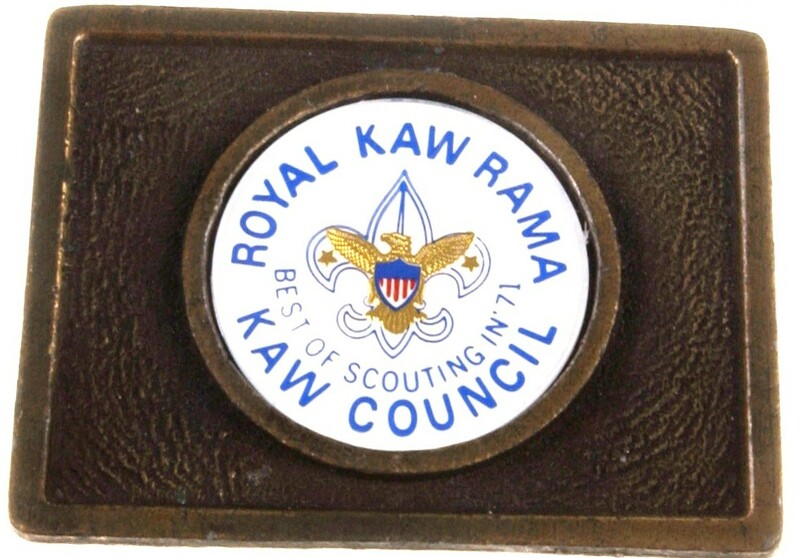 Interestingly the name of the event had several iterations “Scoutorama” “Royal Kaw-Rama” “Kaw-Rama” among them. 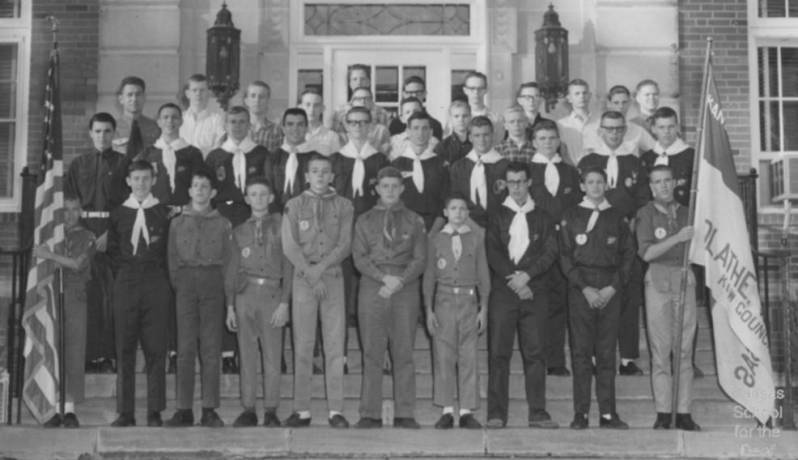 Also, I found it interesting that some of the programs state that the event was held in the American Royal Building…outside of the Kaw Council service area…in Missouri! 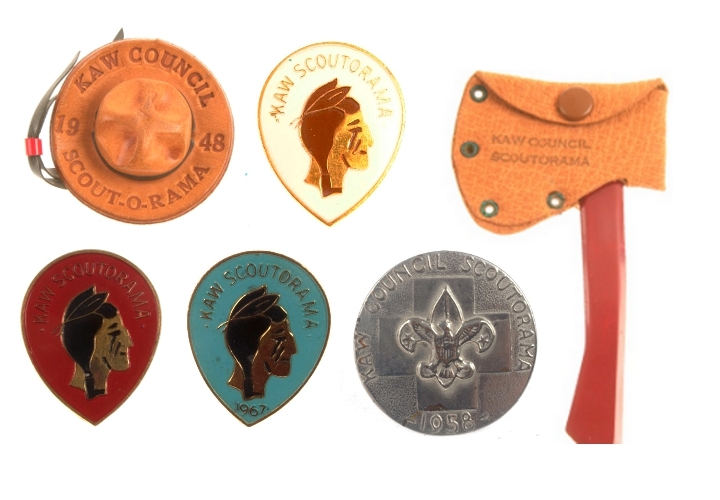 The earliest item from the Scoutorama/Kaw-Rama I can pick out is the 1948 leather slide and the latest is the 1974 patch (the councils merged in 1974). 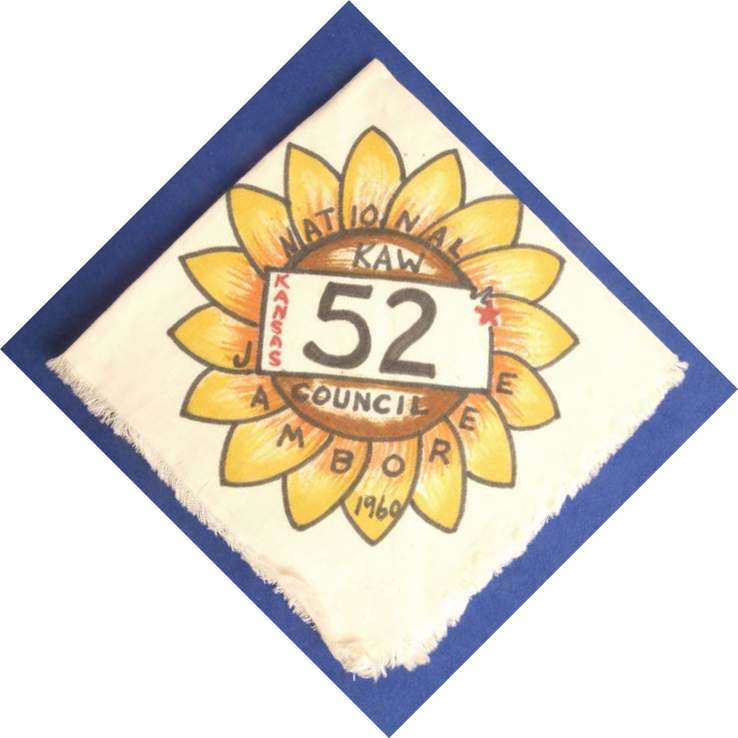 That means there are probably many more items from this event that are unaccounted for! 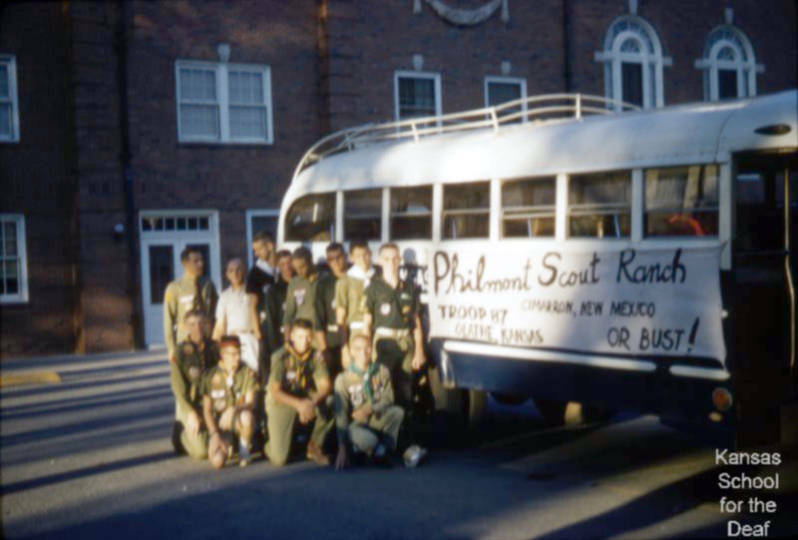 Keep an eye out and let me know if you find anything.